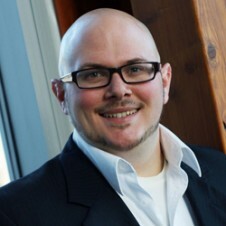 Alroy is the Director of Corporate Development at Rocky Mountaineer. In his role, Alroy leads the Company’s government affairs activities and is very active in tourism advocacy efforts provincially and nationally. Currently, Alroy co-chairs the Pacific Northwest Economic Region’s (PNWER) US-Canada Preclearance working group, with the goal of operationalizing the Land, Rail, Marine and Air Transport Preclearance Agreement. In addition, Alroy oversees the development of Rocky Mountaineer’s corporate strategy and strategic growth initiatives, which include assessing acquisition opportunities and new business ventures. Prior to joining Rocky Mountaineer, Alroy spent 13 years in the financial consulting and accounting industry where he advised clients in the areas of business valuations, corporate finance, corporate restructuring, and transaction services. Alroy also spent 2 years with PwC’s global IT team where he spearheaded the organization’s IT transformation and cost management strategy. Taking on the management of The Oswego hotel in Victoria, Canada which is a luxury Boutique hotel with 80 suites, during the 2008 recession was an opportunity she could not resist. Her skillset opened up an opportunity to turn around a struggling hotel. This is what the best hotel management company strives to do take on a challenge and make it an unbridled success. However, this can only be done with the right leader. Suzanne’s high end, extensive international hospitality experience is what drives her to find the best practices for all aspects of operating boutique and luxury hotels. Her three decades in this industry have allowed her to create a hotel management company in Canada that is focused on the guest experience, running an extremely profitable business and achieving unprecedented results. Trained in England, Suzanne worked up through the ranks in hotels with learning and developing each role she took on. Specializing in smaller hotels of the 4 & 5-star level has given Suzanne the training and knowledge to know exceptional service. Within two years of starting her Management company in Canada, Suzanne officially went international, launching her company in the UK. Looking to grow, own and operate hotels in the UK as well as in Canada, her tireless commitment to execute her vision remains her focus. Being of service in our community, empowering and supporting women in leadership roles are strong values for Suzanne. She has sat on various volunteer boards and currently is on a second term with the Board for Tourism Victoria. Her success is built on growing each hotel in her portfolio beyond overall expectations – Hotels redefined! Barry Zwueste has an extensive and successful background in the tourism and hospitality industry primarily in Alberta and British Columbia. 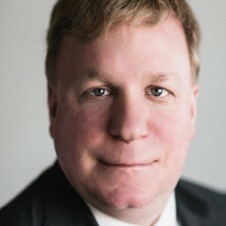 He is currently serving as a Director for the BC Hotel Association following a twelve-year Board position with the Alberta Hotel and Lodging Association where he ascended to the position of First Vice-Chair and held, at various times, positions as Chairman of their Finance, Government Relations and Membership Services pillars as well as Chairman for their Destination Marketing Fund Review Task Force. He was awarded a Life Membership by the AHLA in 2012. Throughout his career, Barry has been an advocate for tourism. He was actively engaged in the Community Tourism Action Plan for Jasper, Alberta and was elected to the Jasper Townsite Committee in 1990. He was also a founding Director of the Canmore Kananaskis Tourism Association. 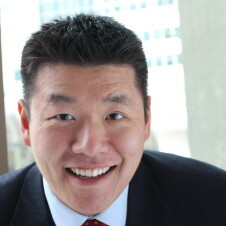 Barry was Co-Chair of the West Edmonton Destination Marketing Fund (DMF) and Chair of the Edmonton DMF from 2005 to 2011. Barry is currently C.E.O. for the St. Eugene Golf Resort and Casino which, in addition to the fabulous amenities that already exist at the resort has, under his direction, added a new 120 site RV Park which will be the most spectacular in the Kootenays. In the spring of 2018 St. Eugene will be adding a unique hands-on, experiential, Ktunaxa First Nations program which will provide authentic Ktunaxa experiences including an authentic overnight tipi experience. Prior to joining St. Eugene, Barry has held senior executive positions at prestigious resort and city-centre hotels across Canada primarily with the former Canadian Pacific Hotel family. A veteran of the Canadian Navy, Jim owns and operates Beaver Lake Resort – a 64 site RV, tenting and cabins resort – in the Cowichan Valley. Beaver Lake Resort has been a member of the BC Lodging and Campgrounds Association (BCLCA) since 2001 and Jim has been on the board of BCLCA for the past 12 years, serving as the Secretary/Treasurer, VP of Lodging, and most recently as President. Jim is a member of the Canadian Camping and RVing Council where he represents the interests of BC. Jim has been an active volunteer board member for many years. He was an administrator for local, provincial and national minor hockey organizations for nearly 35 years, he served on the Cowichan Lake District Chamber of Commerce for 10 years (including seven years as President) and he is the current TIABC board Chair. Jim enjoys volunteerism and feels that a person’s life is fuller by giving back to society. He looks forward to continuing his work at the provincial level on the board of the Tourism Industry Association of BC. 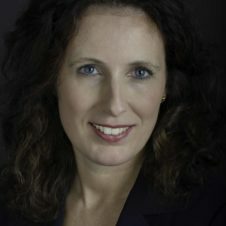 Erica Hummel has worked in the tourism and hospitality sector for over 15 years in BC, Ontario and the UK. She is currently the CEO of Tourism Prince George, a position that has provided her with some great opportunities to develop community partnerships, including several initiatives to support Prince George’s role as Host City for the 2015 Canada Winter Games. Her past employers include tourism operators and municipal and regional destination management organizations. She has worked with a number of boards, and currently sits on the City of Prince George Economic Development Advisory Committee. Education has been a significant cornerstone in Erica’s career growth. After completing a diploma in Events and Convention Management and a bachelor’s degree in Tourism Management at Thompson Rivers University, she later went on to complete her master’s degree in Tourism Policy and Planning from the University of Waterloo. In her free time, Erica loves taking the opportunity to explore new places, both close to home and further afield, with her partner and their son. She particularly enjoys any excuse to go hiking, canoeing or cross-country skiing in northern BC’s scenic parks. The majority of Tony’s clients come from the tourism industry because of his vast experience in the sector. Tony’s tourism experience is a true grass roots story, growing from the bottom up – starting as a teenager working in food and beverage, branching out into accommodation, ski industry, restaurant management, tourism services, event management and the wine industry. 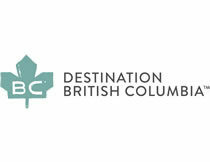 Currently, Tony sits on the Membership Committee and TIC Committee of the Tourism Industry Association of BC (TIABC). 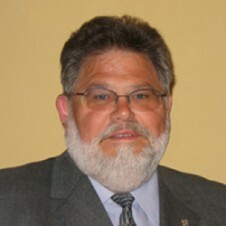 He is a past board member for both TIABC (2.5 years) and the Oliver Tourism Association (6 years). He is also the Past Chair of the Festival of the Grape/Oliver Cask and Keg Committee. Tony is the past Executive Director of the Oliver Osoyoos Winery Association, working with them for the past 4 years, leaving his position to focus on growing his own business. Along with his extensive tourism experience, Tony also has a strong back ground in business, working as a REALTOR® for over 6 years. 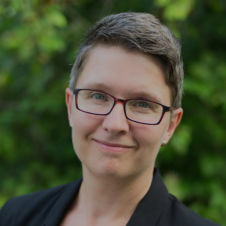 Brenda Baptiste is the project manager for the Osoyoos Indian Band Centre for Aboriginal Community Enterprise – a leading edge leadership training program that is inspired by the innovative economic development model of the Osoyoos Indian Band. Previously she was responsible for the development of the Nk’Mip Desert Cultural Centre, including managing Phase 1 of this operation, and playing a key role in the planning and development of the second and final phase of this centre. As a consultant, Brenda worked with Tourism British Columbia to support the development of Aboriginal communities that are involved in tourism. As a champion for Aboriginal Tourism, her focus was to build capacity and opportunity with the belief that Aboriginal tourism balances socio-economic development with heritage preservation and promotion. 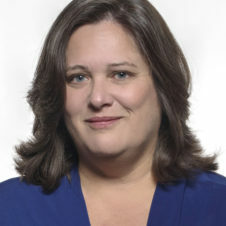 As the former chair of Aboriginal Tourism British Columbia, Brenda’s focus was to actively promote tourism as a foundation for socio-economic development for Aboriginal communities. 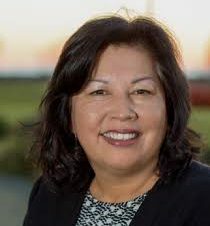 She has committed her energy to the development and promotion of the Aboriginal Cultural Tourism Blueprint Strategy, an innovative and leading edge initiative to develop the Aboriginal tourism industry in BC. She also served as a regional director for the national board of Aboriginal Tourism Canada and other national and regional committees. Brenda continues her work with Aboriginal Tourism British Columbia as an ex-officio member of the board. At the age of 54, Jamie’s first introduction to the Tourism Industry was at the age of 13 at Kimberley Ski Resort. Upon leaving in 1989, to broaden he experience, he held the position of Night Operations Manager. Over the next 30 years he was in a Senior Management position at 5 resorts in 5 different regions including, Nakiska Resort, host of the 1988 Olympic Games, Hemlock Valley Ski Resort, Agassiz BC, Mount Seymour Resort, Lake Louise, and Hudson Bay Mountain Resort, Smithers BC. He took a sabbatical from Resorts from 2008 to 2014, and returned to the Kootenays to be with his father in his last years. During that time, he directed the construction and managed operations of a 7000 sq. ft. full service grocery Market in Crawford Bay, B.C. Returning to the Tourism Industry in the spring of 2014, Jamie has managed Gallagher Lake Resort, in the South Okanagan, owned by Parkbridge Lifestyles Communities. Gallagher Lake Resort has experienced double-digit growth over the past four years, more than doubling its night occupancy from 7000 to 15000 nights. Jamie has held the position of 2nd Vice to the Chamber of Commerce of the Town of Smithers, the President of the Chamber of Commerce on the East Shore of Kootenay Lake, and President of the South Okanagan Chamber of Commerce. Jamie is honoured of the opportunity to bring his enthusiasm, experience & open mind to the Board of the Tourism Industry Association of British Columbia. Andre was born and raised in Germany but fell in with our province while traveling in BC and the South Chilcotin mountains several years ago. 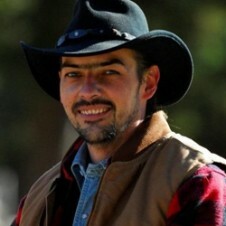 Though his earlier career was spent in the financial services industry, his time in BC includes managing an all-seasons guest ranch and guiding outfit and forming his own company, AFK Business Consulting, that provides business planning, licensing, and overall advice to tourism businesses in remote locations. Andre currently serves as Chair for the Cariboo Chilcotin Coast Tourism Association, Past President of the BC Fishing Resorts and Outfitters Association and President of the Bridge River Valley Community Association. In his spare time, Andre enjoys the outdoors and likes to explore the backcountry with his dog, Amy. David is the Owner and General Manager of Pemberton Valley Lodge. 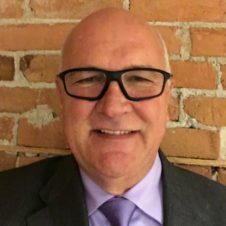 He has more than 25 years of experience in the tourism industry including opening four hotels in western Canada and operating his own adventure travel business in BC and Alberta. David was a founding Director of the Alberta Tourism Partnership and Jasper Air Consortium, which was responsible for the development of an airport authority for the area and for bringing scheduled air service into Jasper National Park. David was elected to council for the Village of Pemberton in 2005, serving a three-year term, which also included some time as Acting Mayor. He has served as a Director of the BC Chamber of Commerce, Vancouver Coast & Mountains Tourism Region, and Founder and Chair of Tourism Pemberton and the Pemberton Regional Airport Authority. Currently he is a President of the BC Hotel Association. In his spare time, he is a Volunteer Search & Rescue Technician and an Auxiliary RCMP Constable with the Sea to Sky Regional Police Service. Paul Nursey has served as President & CEO of Tourism Victoria since January 2014. Paul brings more than 20 years of tourism-related leadership and management experience including leadership positions with the Canadian Tourism Commission, Rocky Mountaineer Rail Tours, Mount Seymour Resorts, Tourism Vancouver – the Greater Vancouver Convention and Visitors Bureau. During his tenure at Tourism Victoria revenues have grown from $4.2 Million to $7.8 Million, membership has grown by over 200 members and now sits just under 1,000 paying members. Under Paul’s leadership Tourism Victoria has taken on accountability of the Sales and Marketing of the Victoria Conference centre creating efficiencies and synergies, and membership satisfaction has risen to 97%. 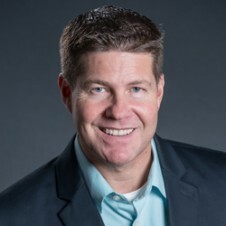 Paul holds a degree in Regional Planning from Simon Fraser University, has completed the Executive Development in Tourism program from the University of Hawai’i at Mãnoa, and has been slowly tackling an online MBA program with the University of Massachusetts, Amherst as time has allowed. Paul has recently completed the Institute of Corporate Directors Not for Profit Training and Certification through the Rotman School of Business at the University of Toronto. Sandra grew up in Sonoma County, California and received her BA in Business Administration, International Business from California State University, Sacramento. After graduation, she found her passion for winemaking attending the UC Davis School of Enology (winemaking). While attending UC Davis, Sandra met her future husband, Kenn Oldfield, who founded Tinhorn Creek Vineyards in Oliver, BC. Sandra has brought Tinhorn Creek’s production from 1,000 cases in 1994 to over 40,000 cases and has been an integral part of the winery’s development as a tourism destination. In 2011, Sandra took over as Tinhorn’s CEO, overseeing all vineyard, winery, marketing and financial aspects of the business. The same year, the winery added a world-class restaurant, Miradoro, to the property. The winery sold in 2017 and Sandra and her husband Kenn began a new chapter as wine industry and tourism consultants with their new company Elysian Projects. Sandra’s viewpoint on tourism is that we are only as strong as our weakest link. She feels we must speak with one voice and work hard to unify visitor experiences, providing a lasting impression of BC. Sandra is active on social media and the creator or #BCWineChat on Twitter.